Under God was added in 1954. No US citizen should stand silent. 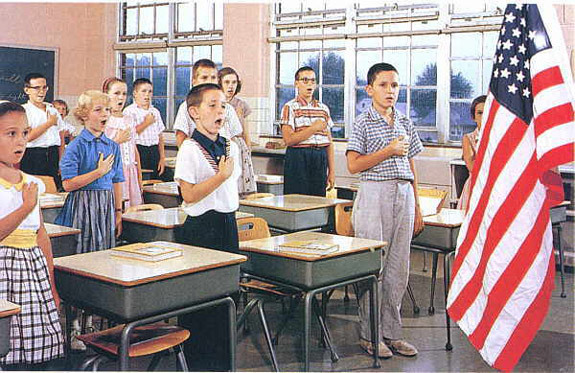 Your belief in God can keep you silent during that portion of the reciting of the Pledge of Allegiance, because your belief in GOD is not of issue when showing loyalty to our country, but my honest opinion is that if a person cannot pledge loyalty to their homeland, they should find another homeland.